These vintage ads are my jam. They’re the original Pinterest – images that could be cut from a magazine and saved in a file folder or recipe box. It’s completely on point. While many of the ads offer fanciful designs (as imagined by artists working in the ad agency art department), some designs seem quite doable – or least delicious. 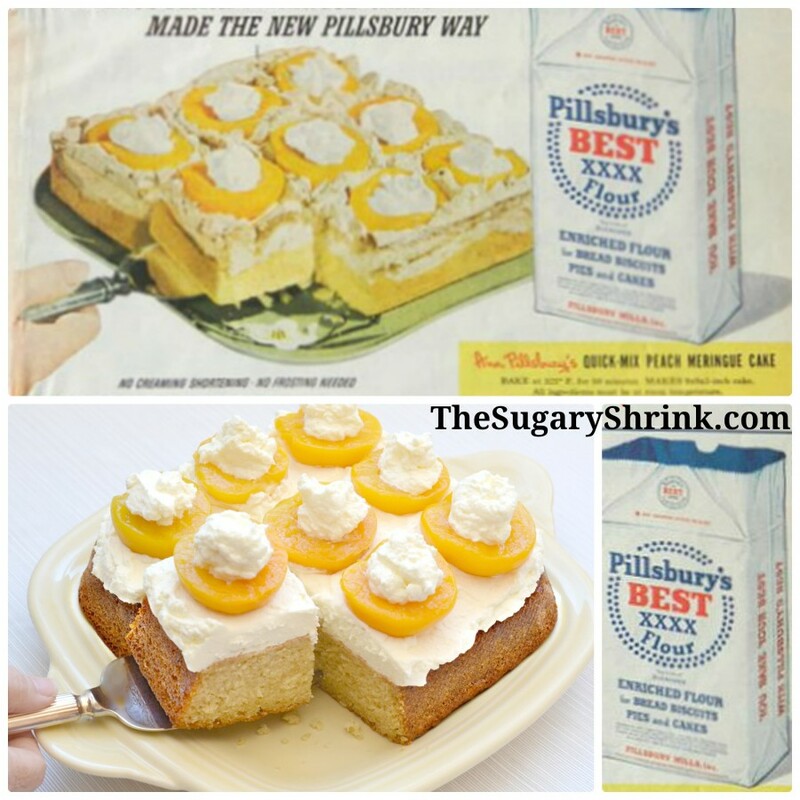 This original Pillsbury ad features a cake with meringue; I chose a more simple path. 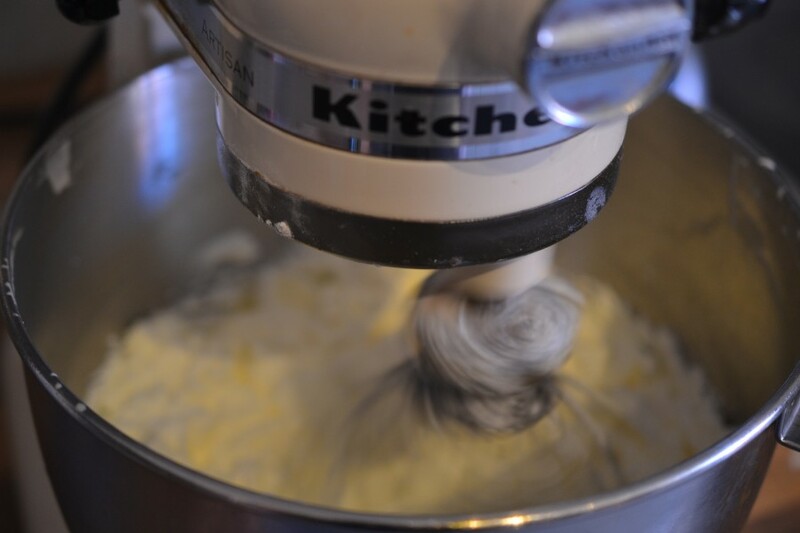 Swapping out heavy whipped cream for the meringue keeps the image true while making the cake very approachable. 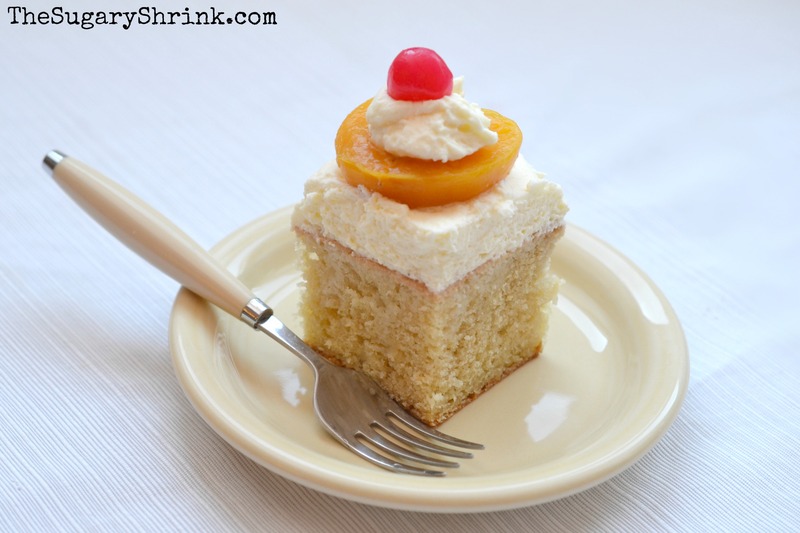 I began with my favorite Classic Vanilla Layer Cake. 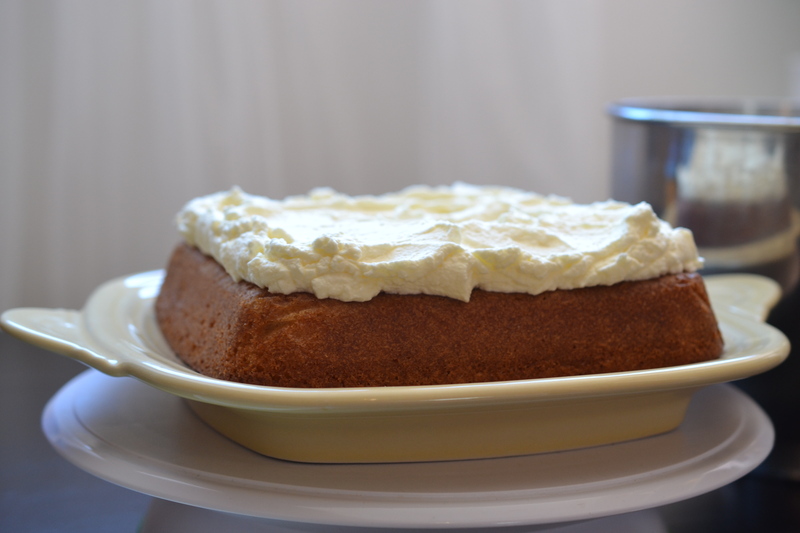 Being completely out of cake flour, I baked this cake with the same measured amount of all-purpose flour; it was delicious. 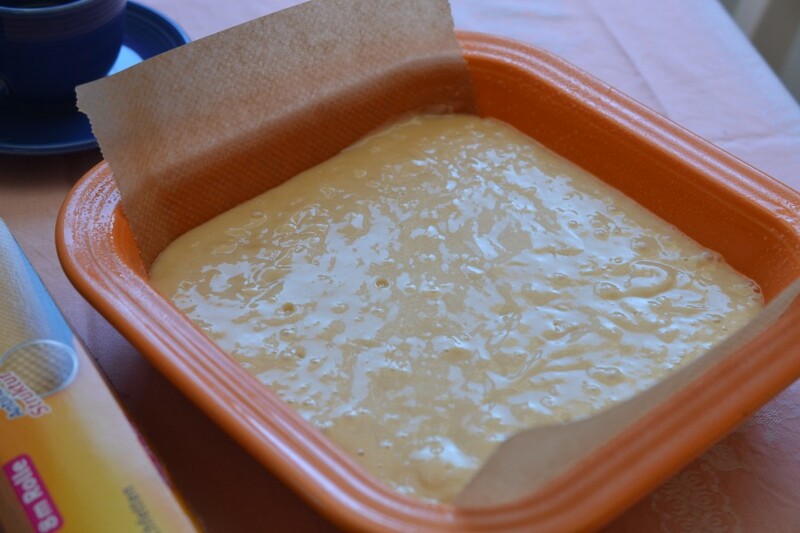 Based on the ad, I needed to bake a square cake. 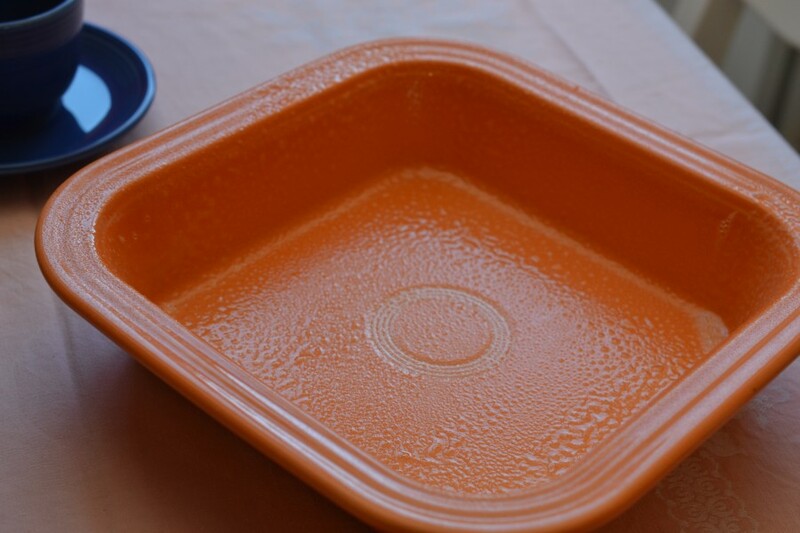 I chose my Homer Laughlin Fiesta Dinnerware Square Baker – the size of this baker pairs ideally with the Square Handled Tray I planned to use for the cake shoot. 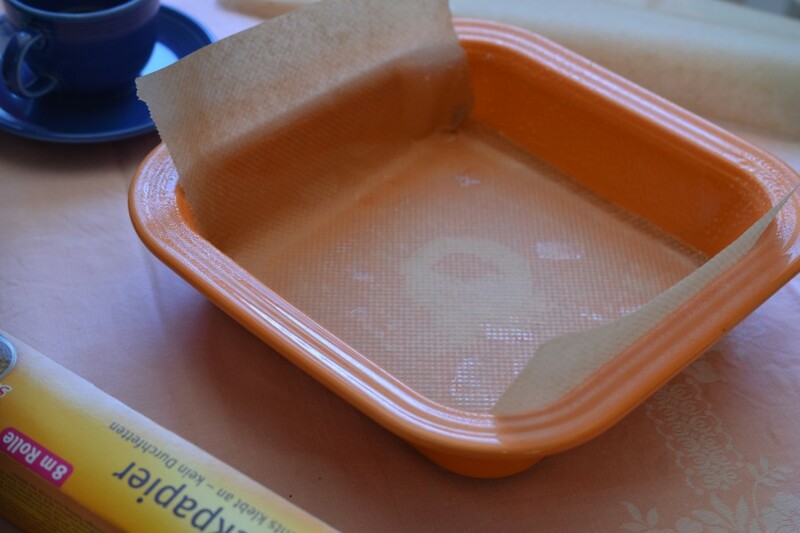 As always, I use parchment paper. 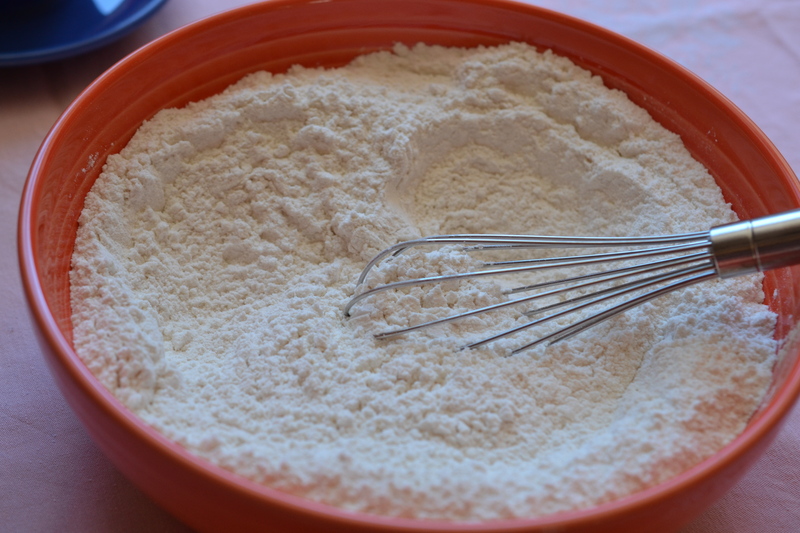 Spraying the sides with cooking spray helps prevent the sponge from sticking. 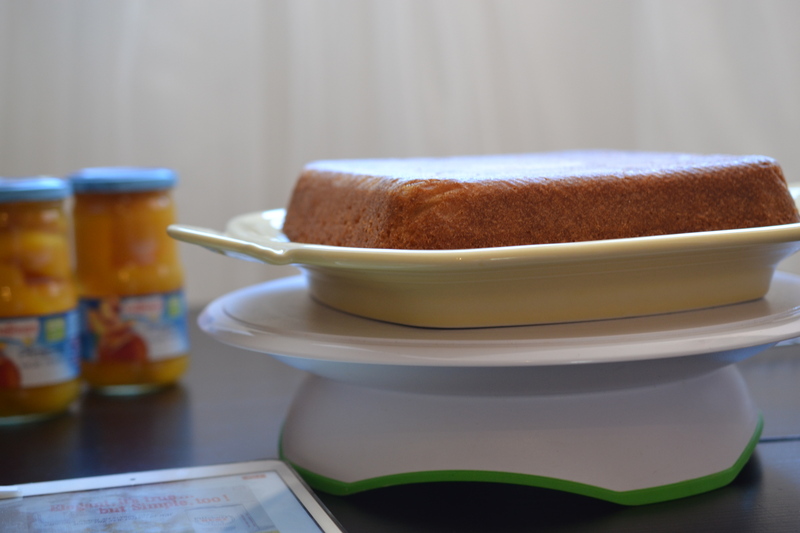 The cake was cooled and served upside down. 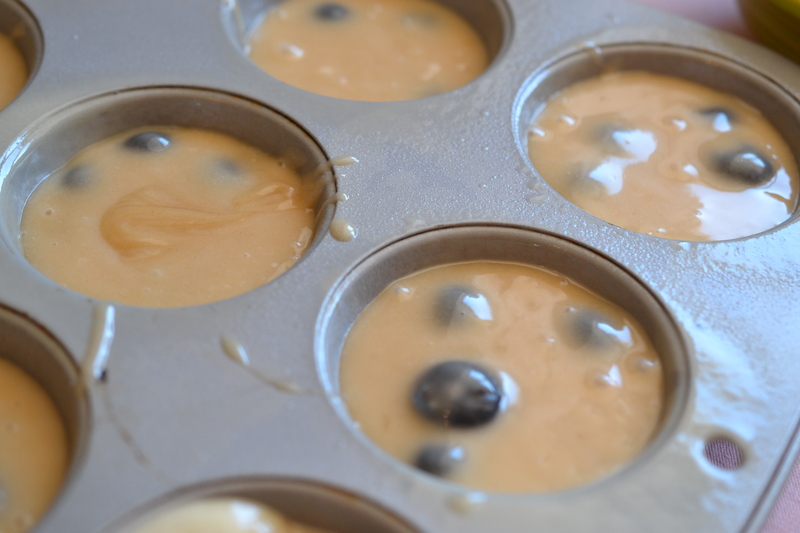 Knowing I’d have left over batter, I tossed some fresh blueberries into the remaining mix and baked’m up. 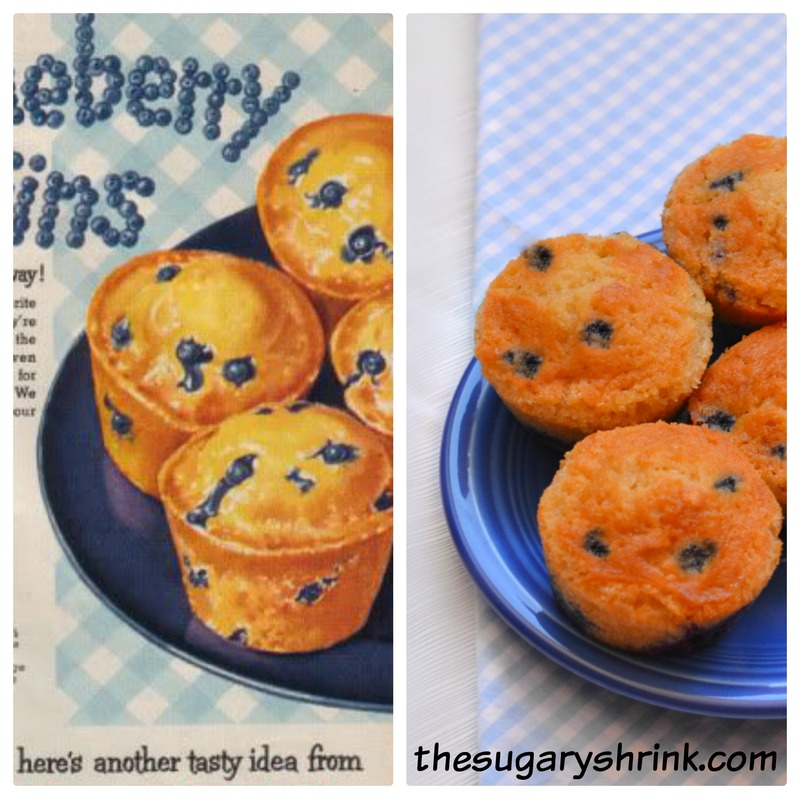 A muffin mix is slight heavier than a cupcake mix, but these were delicious all the same. 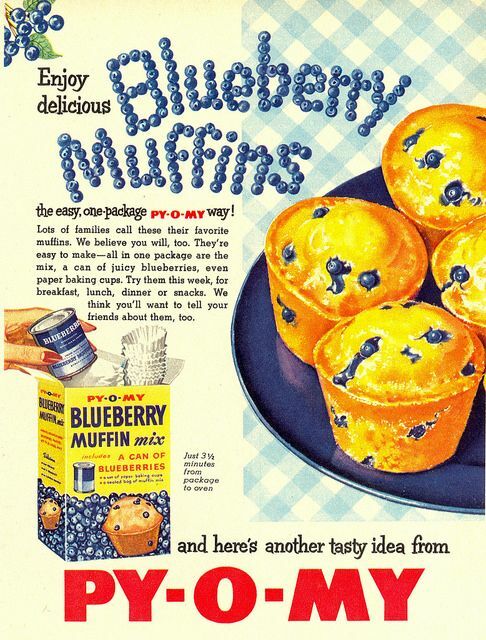 I also, found a vintage ad that features a blueberry muffin. 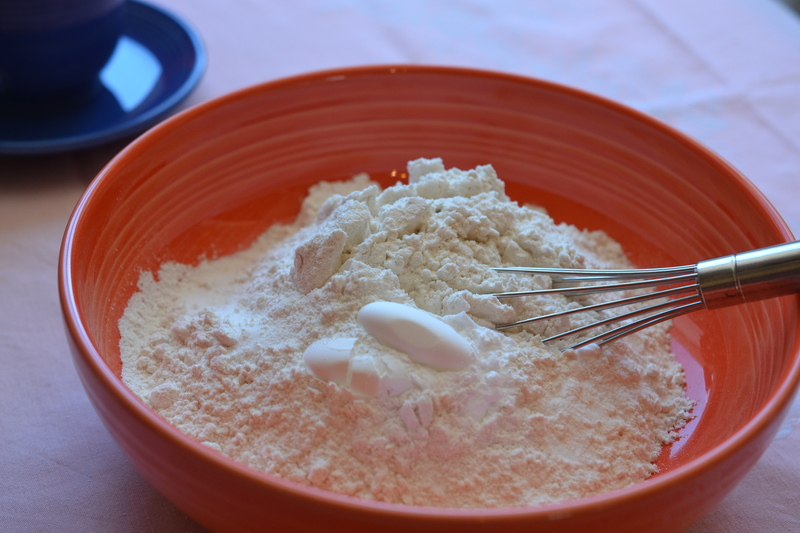 I’d never heard of Py-O-My before, but they’re still in business selling baking mixes. I wasn’t completely excited with the results, but I just wasn’t sure how to make things better. 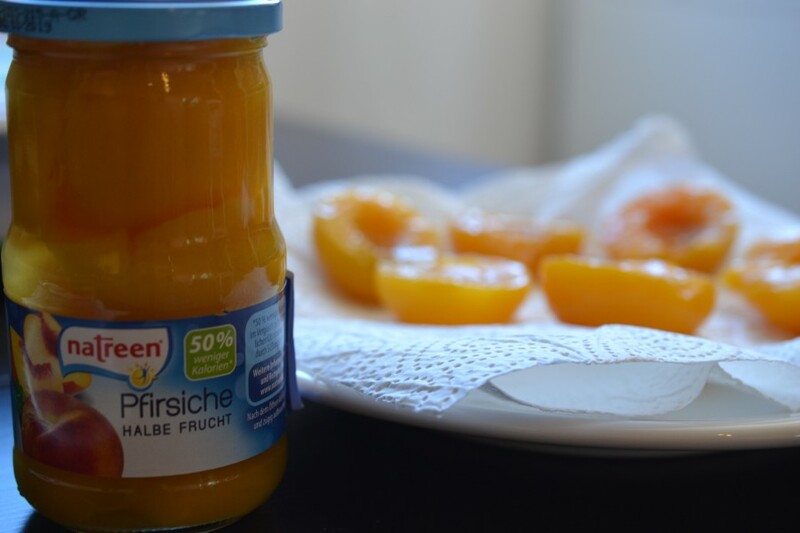 With that disappointment behind me, it was time to focus on the new Peach Delight (I think that name sounds wonderful). 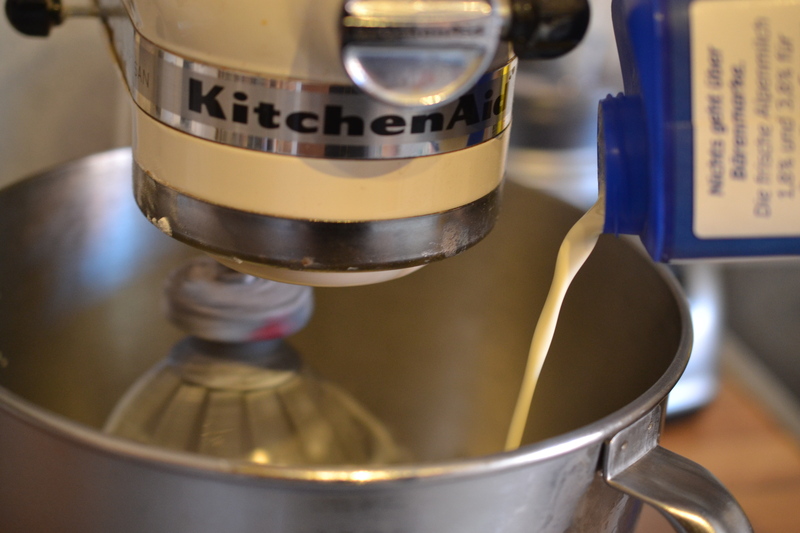 I left the mixing stand bowl and whisk attachment in the cake fridge over night so they were nice and cold for the heavy cream. 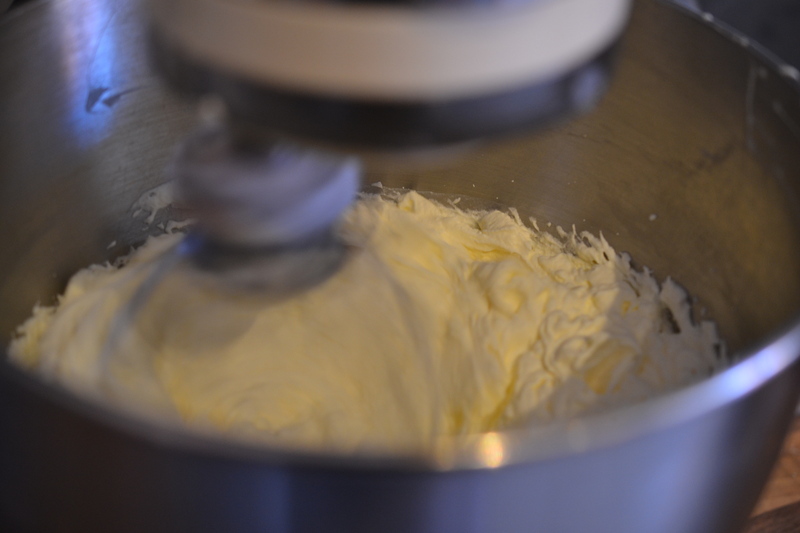 I add a bit of clear vanilla and powdered sugar to get the whipped cream just right. 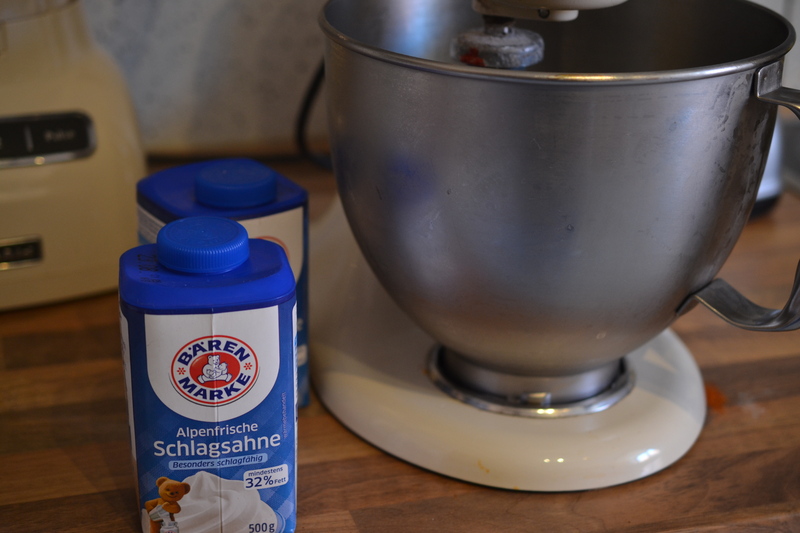 Time to construct the cake and prepare to recreate the ad. In order to prevent the top of the cake from becoming too messy, I patted a bit of the peach syrup away from each half. 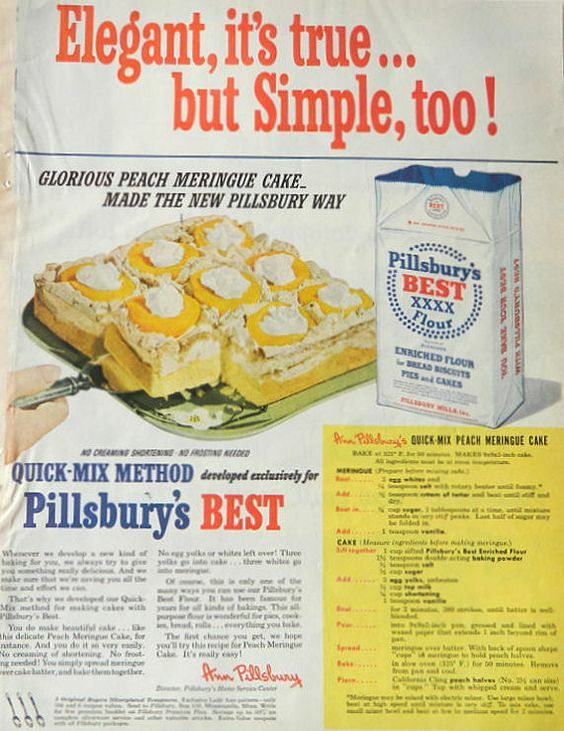 As I studied the ad, I was surprised a maraschino cherry wasn’t sitting on the top of the whipped cream in every peach center. That last bit of design fits perfectly with much of the mid-century modern aesthetic. I think I’d also consider dusting a bit of cinnamon over the peaches before adding the whipped cream on top. 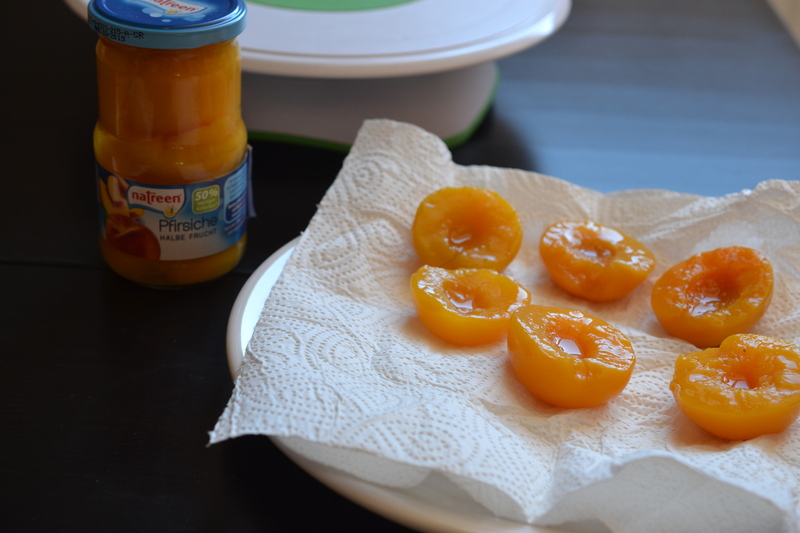 Finally, a dollop for each peach half (no cherry). Huge surprise! I love love love this cake. And it’s very contemporary for busy adults! 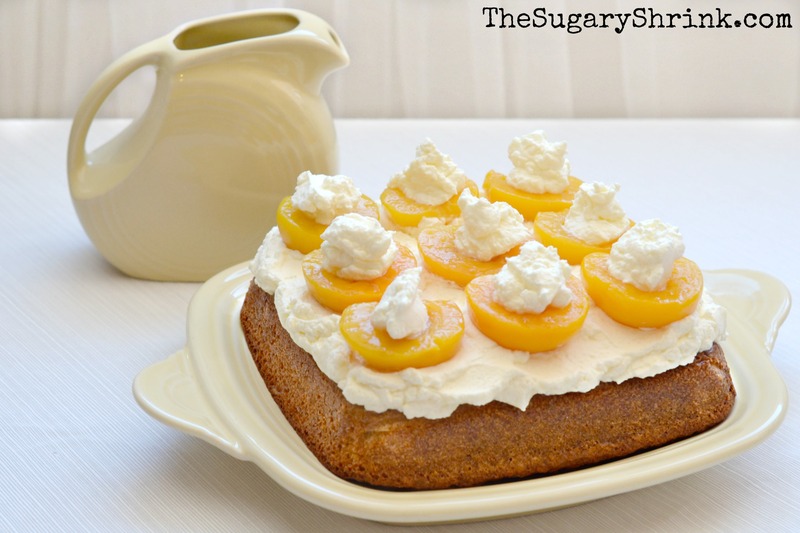 This is like strawberry shortcake, except with canned peaches. 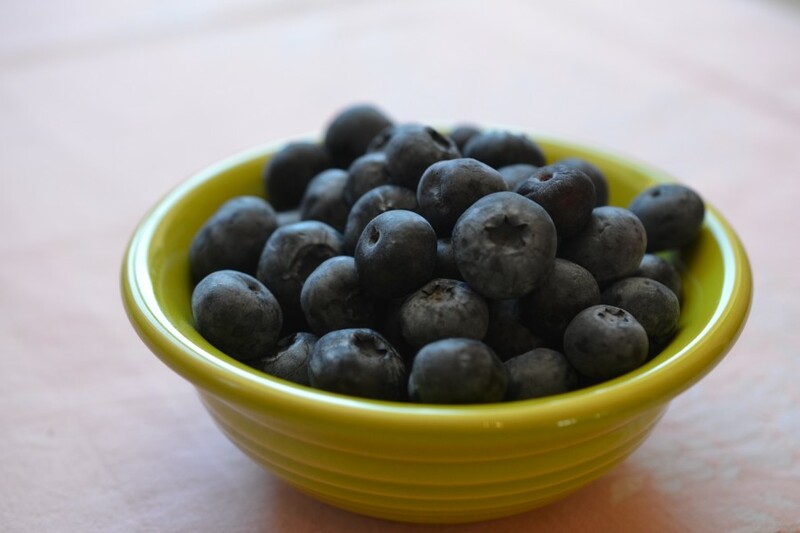 It’s light and sweet but not too sweet. And simple… incredibly simple. It’s peaches and cream. 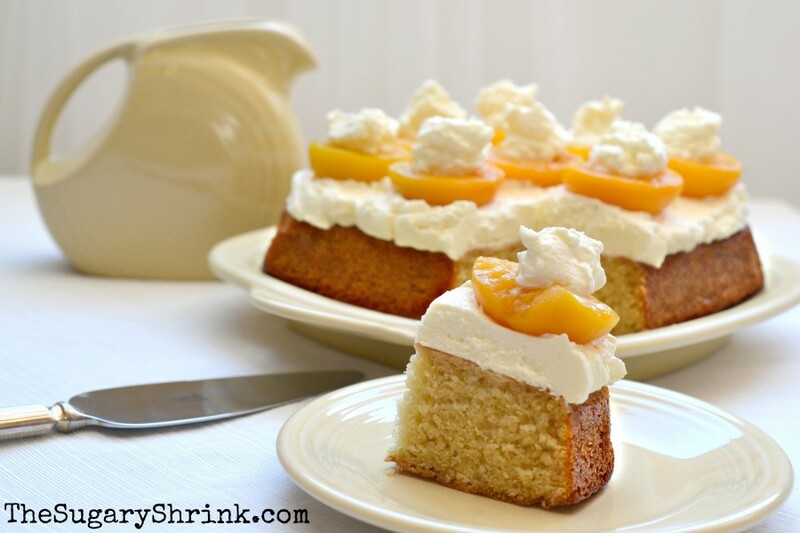 For that dessert in a pinch… yellow cake mix from a box, tub of Cool Whip, and a large can of peach halves. 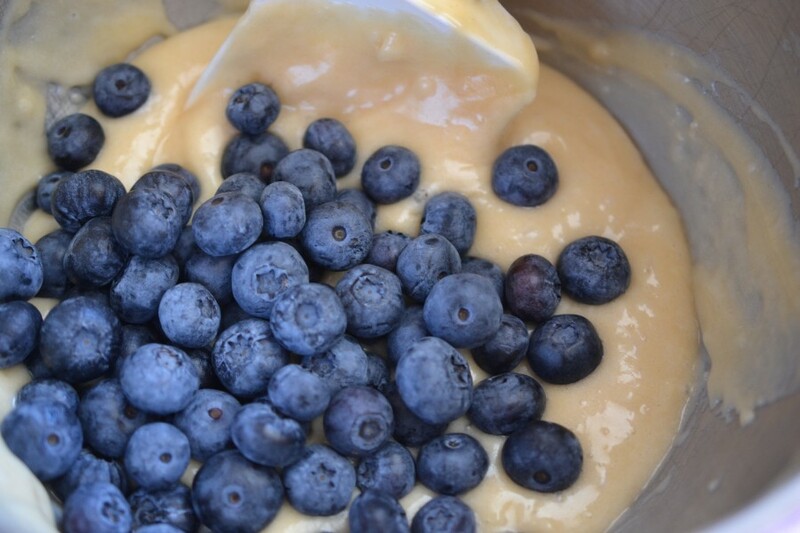 This is the dessert you take over to a sick neighbor or family with a new baby. 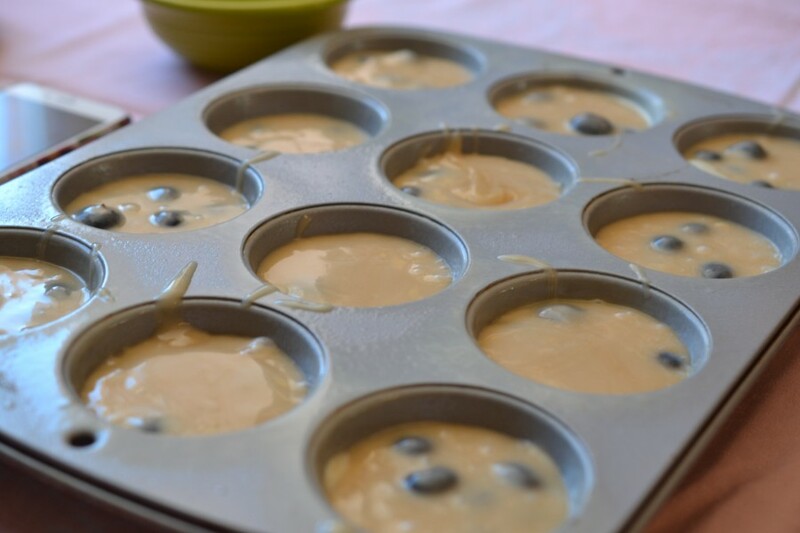 “But wait, I’ll have left over batter…” That’s when you pour the remaining batter in a prepared loaf pan (cooking spray with parchment paper) and make a smaller dessert to leave at home for your people. Because your people will be clamoring for the cake you’re taking away! 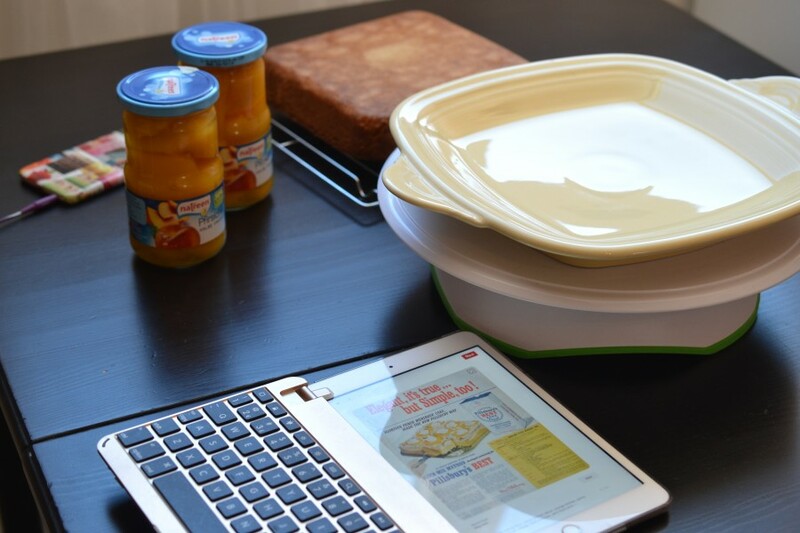 Or bake the entire dessert in a 9 x 13 baker and take it to a larger event. 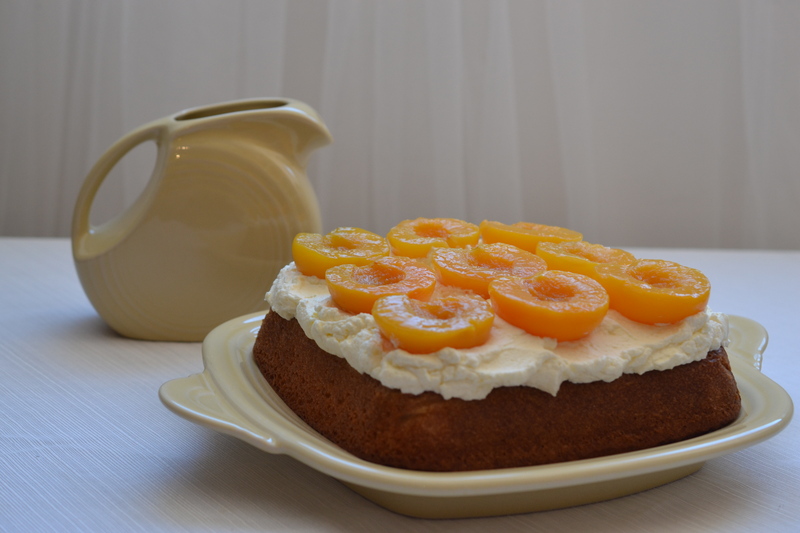 There won’t be leftovers to carry back home… this cake’s a winner. I love that new discoveries are continuing to come my way. I’m bonkers about my life partner husband and our empty-nesting. I certainly adore our people and the people they bring. And none of it’s possible without sobriety. 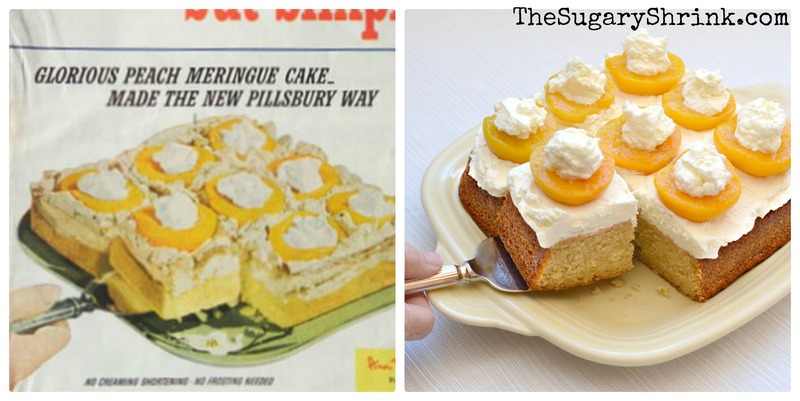 Next story Vintage Ad: Confetti Cake!